I have purchased(not cheap...) four cartridges from an Hungarian seller, thinking by their aspect that they where some form of copy or clone from the original. I have searched for information here and on the Museum page, and have found that the "softcart©" range of products where offered at the Centrum store on fall 1987. As you can see, they have a similar sticker than the EP64 cartridge but with the "softcart©" logo on the side. 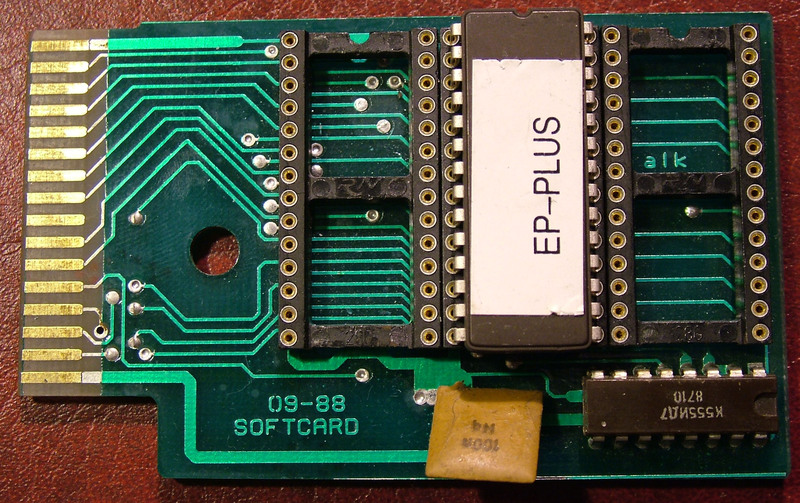 Internally, the only modification is an Eprom glued to the socket.... thieves watching over their spoil. I know the seller, he made the stickers (with Photoshop) from a scanned EP PLUS sticker. 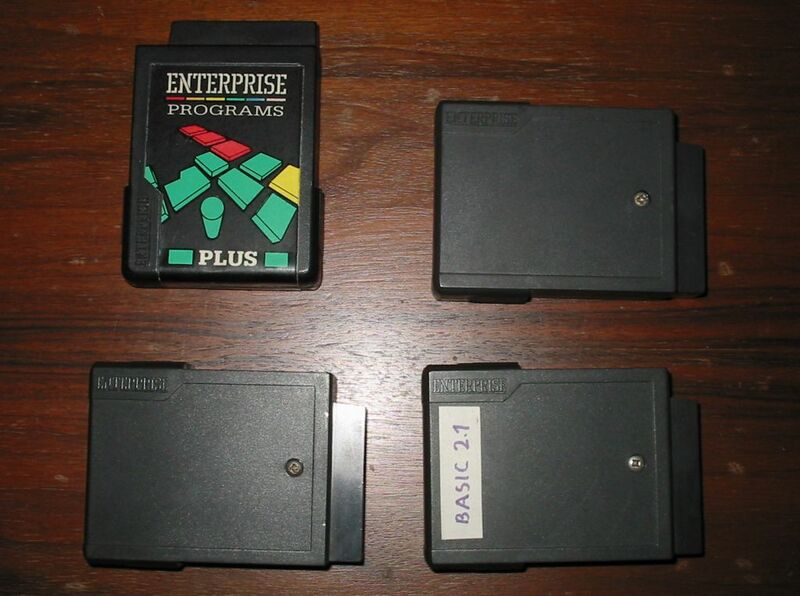 The Hungarian Softcart cartridges are black instead grey, and different the area where you put the fingers when pull it. Another Softcart sticker, this is for the empty cartridges. She still has an original blank softcart cartridge to sell. I am very happy of the cartridges, they are near new.